Will Russia’s Madoff strike again? 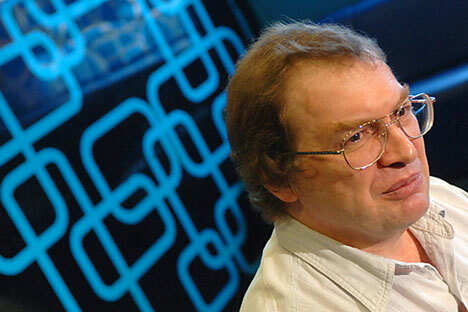 Sergei Mavrodi is at it again, setting up a new Internet-based investment scheme. The authorities are aware, but no one wants to take responsibility for keeping an eye on him. Responsible for a massive pyramid scheme in the 1990s, Sergei Mavrodi has Russian authorities worried after he recently posted plans on his blog for a new and highly profitable project he has in the works. The project, called “MMM-2011,” promises a 20 percent annual rate of return and up to 30 percent for the disabled and retired investors. These rates appear extremely unusual considering that deposits with the biggest banks in Russia offer a maximum annual rate of return of 8.5 percent, a rate already higher than that offered by their European counterparts. The start date was set for Tuesday, Jan. 11. To participate, interested parties must open an Internet account and deposit their money via an online payment service. “All operations will be between investors,” Mavrodi noted on his blog. “I don’t make anything, besides I don’t have the right. I will be satisfied leading the process.” This strategy bypasses Russian law, which strictly regulates how interest-bearing accounts may be set up. Mavrodi, who is often called the “Russian Madoff” after the American Ponzi scheme swindler, is no novice. An entrepreneur and a financier, in the 1990s he created the “MMM” company, a pyramid scheme that had between 10 million and 15 million victims. Sentenced to four-and-a-half years in prison for fraud, he was released in May 2007 and proceeded to write a book. This latest attempt by Mavrodi has unleashed a wave of concern from the authorities, who are adopting an aggressive stance but recognize that their hands are tied when it comes to the fraudster’s plans. “The story is strange, it smells like fraud,” said Vladimir Milovidov, head of the Russian Financial Markets Service, who added that preventing these schemes does not fall within his jurisdiction. “This is more for state agencies or for the Anti-Monopoly Service,” he said. The Anti-Monopoly Service however, noted that it would not begin an investigation in the absence of complaints from competitors or victims, according to deputy head Andrei Kasheyarov. The Ministry of the Interior had much the same message, indicating that it had no grievance against Mavrodi so long as it did not receive any complaints. The Duma also entered the debate with Valery Ryazansky, deputy chairman of the ruling United Russia party, responded that although Mavrodi was, for the time being, not guilty of anything, specialists will be looking into any flaws in Mavrodi’s new business. “From an ethical and moral standpoint, Mavrodi has shown our people what he’s worth,” Ryazansky explained. As the authorities defer to one another amid a chorus of criticism, Mavrodi’s dubious investment plan has only highlighted the weaknesses of the Russian financial system. Mavrodi, for his part is not backing down: According to him, the enthusiasm stirred up by his plan is so great that he will have to postpone the launch date to keep up with demand.